The majority of people will experience a headache sometime in their life, and an estimated 1/3 of people have repeated episodes or “headache disorder”. 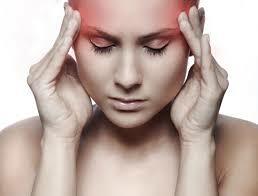 The most common type of headache is the tension headache. Many people choose medication for their headache, but does medication actually solve the issue? In fact, taking medication masks the symptoms and allows you to create further damage to your body. Taking a pill to relieve pain related to headaches allows you to continue to function but it makes the issue worse! If you experience headaches on a regular basis I would encourage you to try something besides medication. First, drink a full glass of water repeatedly in 5 minute intervals for an hours. If the headache is caused by dehydration this should resolve it. The only side effect is going to the bathroom! Water is the most essential nutrient for your body and many people are chronically dehydrated. Second, if you have a headache and you know you have not been getting enough sleep you need to take some time to rest. Your body repairs itself during sleep and it is extremely important for you to get enough sleep. Third, if you have stress in your life (who doesn’t?!?) you can actively fight against the build-up that can cause headaches. Exercise, meditation, and chiropractic adjustments are all great ways to alleviate stress. Finally, if your spine is misaligned you may be decreasing the blood flow to your brain which can in turn cause headaches. Keep in mind this is purely theoretical, but it sure does make a lot of sense physiologically. 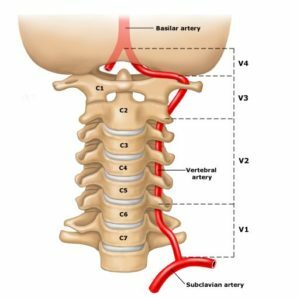 The vertebral artery supplies blood to the brain and that artery runs through parts of the spine. If your spine is misaligned it can potentially decrease or alter blood flow. When your spine is functioning and moving properly it would stand to reason that the blood flow to the brain will also improve. If you would like to learn more about how chiropractic care can help you feel and function better, take a look at this research paper that discusses how chiropractic helped patients improve by 50%! This entry was tagged chiropractic. Bookmark the permalink.